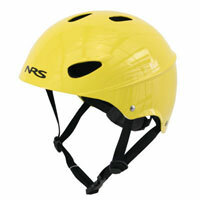 The NRS Havoc Helmet is a one-size-fits-most solution for whitewater safety. The NRS DialFit system lets you quickly and easily adjust the fit to accommodate almost any head size. If you're looking for a helmet for your paddle crew that's comfortable, safe and not size specific, the Havoc Helmet is the choice for you.